Morgan Spurlock is a prolific Oscar- and Emmy-nominated film and television documentarian, as well as host and producer of the CNN original series, "Inside Man." 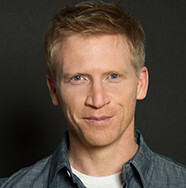 Best known for his critically-acclaimed documentary "Super Size Me" (one of the highest-grossing documentaries ever made), Spurlock has produced and starred in several projects dissecting the world of advertising and marketing as it relates to the future of American branding. Thought-provoking, information-filled and always entertaining, Spurlock will share what he's learned about America's culture by stepping into the day-to-day lives of diverse Americans. Charles Duhigg is a Pulitzer Prize-winning reporter and author of the New York Times bestseller The Power of Habit: Why We Do What We Do in Life and Business. Duhigg is also winner of the National Academies of Sciences, National Journalism, and George Polk awards, and a frequent contributor to television and radio, including PBS NewsHour, Frontline, Dr. Oz, This American Life and various programs on CNBC and NPR. He is a graduate of the Harvard Business School and Yale College. A highly engaging speaker, Duhigg will share his eye-opening insights into how a simple habit loop is the key to transforming behavior at work, at home and at school. He’ll have you rethinking your entire world. Dr. Leonard Mlodinow is a theoretical physicist and author of numerous academic research papers in physics and seven popular science books, including bestseller The Grand Design, co-authored with Stephen Hawking. His book The Drunkard’s Walk: How Randomness Rules Our Lives was shortlisted for the Royal Society book award and won the Robert P. Balles Annual Prize in Critical Thinking, and the Liber Press (Spain) Award for the "Popularization of Science." Mlodinow has also created several award-winning video games, including one in conjunction with Steven Spielberg, and has written for network television. He is a popular international speaker who has given invited lectures at corporations ranging from Google to Major League Baseball. 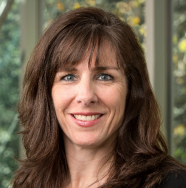 Karen Thomas-Smith is Vice President of Marketing for Optum, a leading health services business. Karen brings more than 20 years of global experience in the software industry and has held leadership positions in marketing, sales and training. She and her team have embraced content marketing to such a degree that Thomas-Smith has completely redesigned job descriptions and marketing processes to develop an integrated marketing and thought leadership content machine. 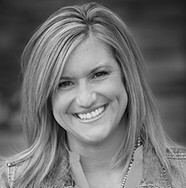 In the past year, Karen's team has garnered more than 40 marketing industry awards. Karen also received MarketingProfs' B2B Marketer of the Year Award in 2013. 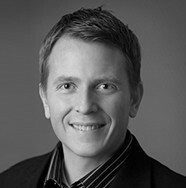 Aaron Dun is the Chief Marketing Officer at Intronis, driving the entire go-to-market strategy. 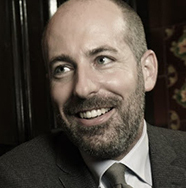 He has twenty years of marketing experience leading strategic planning efforts, identifying new market opportunities and directing global teams to execute effective demand generation campaigns for both large public companies and venture-backed startups. 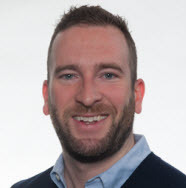 An expert in content marketing, digital marketing and demand generation strategies for B2B technology companies, his career accomplishments demonstrate a keen ability to connect marketing performance to sales achievement. Previously, Aaron served as the Vice President of Marketing and Strategy at Percussion Software, where he led a complete transformation of the business around a new product innovation and market direction. Prior to Percussion, he played a leadership role in the marketing successes behind Ness Technologies, Lionbridge Technologies and Softscape. 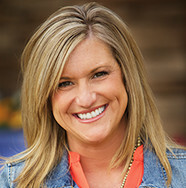 Abby See is the Director of Online Marketing at Sunrise Senior Living. As the Director she oversees online branding, website lead generation/digital media, UX, social media, website design, content marketing, SEO, marketing automation and reputation management for both the North American portfolio (265 communities) and the United Kingdom portfolio (42 communities). 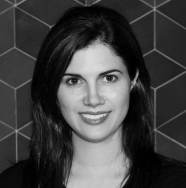 Previously she has served as an account supervisor at advertising agencies, overseeing all digital and traditional marketing campaign efforts for national homebuilders such as K. Hovnanian Homes, Ryan Homes and NVHomes. With a passion for digital marketing, Abby believes in taking risks and trusting her gut (and a whole lot of data!) to be innovative and meet your customers’ expectations. She lives in Virginia with her husband and two children. She is a graduate of Virginia Tech. Go Hokies! Bart Thornburg leads email strategy, technology and innovation as the Senior Manager of Email Marketing at WeddingWire, the leading technology marketplace serving the $100 billion wedding industry. He regularly champions AB testing, smart email triggers and making real, authentic connections with subscribers. Previously, Bart helped run the day-to-day email marketing operations at Targeted Victory, where his team sent more than one billion emails, raising more than $50 million for 75 clients, including Romney for President and the RNC. Baxter is a true marketing geek, having led marketing ops and demand creation teams at Citrix and Couchbase. Prior to that, he was a marketing consultant, specializing in politics and sports marketing. Currently he leads the online marketing function at New Relic, where he is responsible for all digital marketing and managing the customer experience, marketing operations and demand generation teams. When not geeking out on funnels and budget spreadsheets, Denney “enjoys” participating in endurance athletics and watching the Washington Redskins lose football games. Brian is the Senior Manager of Digital Marketing for Hewlett Packard Enterprise. He brings 25 years of software industry experience from roles as a developer, sales engineer, instructor, consultant and marketer. 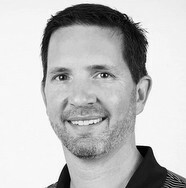 Brian manages Hewlett Packard Enterprise’s IT Experts Community, which is focused on helping IT practitioners develop the skills, network and insights to accelerate their careers in application lifecycle management, automation and cloud management, service and portfolio management and business systems management. 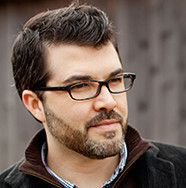 He is also responsible for community strategy, blogging and IT practitioner marketing programs. Brian is a Lithium Certified Community Manager. 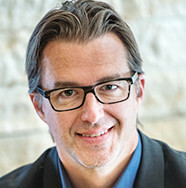 Bruce Duesterhoeft, Program Manager of Online Fundraising, Consumer Reports, has nearly 20 years of direct marketing experience in the nonprofit and for-profit worlds. 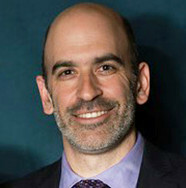 Before his three years at Consumer Reports, he worked at Habitat for Humanity International, National Vision, Georgia Public Broadcasting, Grizzard Communications and TV Guide. He even started his own direct marketing consulting firm helping small nonprofits. While at Consumer Reports, Bruce has helped grow the digital fundraising revenues from under $1 million when he started to over $2.6 million last fiscal year. He also has worked with other teams to streamline processes and create efficiencies in daily work. Bruce works closely with the rest of the development team to build a strong cohesiveness with digital fundraising. Bruce lives in northern New Jersey with his girlfriend and dog. They enjoy weekend and vacation hiking across the United States. Cambria Jacobs is the Vice President of Marketing and Customer Service at Door to Door Organics, a leading online grocer that delivers fresh organic, natural and local food to homes in 15 states and 60 cities throughout the U.S. Jacobs joined the company in 2013 to build a strong team, establish baseline marketing and customer satisfaction metrics, launch targeted media outreach, optimize customer acquisition and execute aggressive expansion plans. In 2014 and 2015, Jacobs drove brand innovation to create an expansion launch strategy that eclipsed first month order goals by nearly 30%. Jacobs also spearheaded a company-wide quality initiative to exceed customer expectations around service, experience and product quality. Chris Keller, Vice President of Marketing for the last four years at Health Catalyst, was employee #7 at the now 400-person organization, a Sequoia Capital backed high-growth start-up with IPO hopes in the next few years. 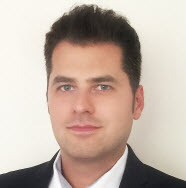 While growth is a major objective, he leads a demand generation team that is bucking the gated-content trend by unlocking the majority of its content, an experiment that is proving to deliver high quality leads while also positioning the company as the trusted data warehouse and analytics leader in healthcare. Previously, he worked in marketing management for three other start-ups — Balihoo, Clearwater Analytics and PC-Doctor. Previously, he was a worldwide Product Marketing Manager at Hewlett-Packard. He began his career in 2000 developing online education using some of the earliest content learning and assessment systems. Keller holds an M.B.A. and B.A. from Brigham Young University with an emphasis in Marketing and Entrepreneurship. He is part of the Silicon Slopes start-up community, and is working on his own start-up in the addiction recovery space as well as a real estate software idea in incubation. He has big aspirations to one day contributing time and energy to a micro-credit lending organization. 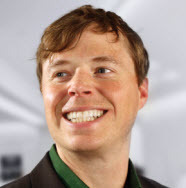 Chris McGrady is a Digital Marketing Manager for Arrow Electronics, a Fortune 150 company with 2014 revenues of nearly $23 billion. Chris focuses on content marketing and search engine optimization. Chris is an expert in content, social media and newsletter marketing, and in previous roles built an email marketing program from scratch that ultimately accounted for 6% of company revenue. Chris lives in Denver with his wife Kate, their two kids Tatum and Brek and their Great Dane Ellie. Clark R. Cummings, Senior Manager of Member Marketing, Marriott Rewards, has been with Marriott International since 2011. 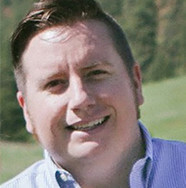 Clark has worked in email marketing since 2006, getting his start with a boutique email service provider based in Atlanta, Georgia. He has worked with a diverse roster of clients from nonprofits and associations, like SEIU and NEA, to Fortune 500 companies like Time Warner Cable and Southwest Airlines. Clark was raised in Marietta, Georgia and now lives in Washington, DC. Dan is the Vice President of Marketing at HCSS, a construction software company recognized by the Wall Street Journal as one of the top small businesses in the country. He spent six years in the Marines, 16 years in healthcare sales and marketing and now he is helping construction companies improve their businesses using technology and software. He loves coming to work every day with a great team of marketing experts who share a common goal of doing the best marketing in the construction industry. Danny Gavin has successfully piloted several Web development projects and utilizes his extensive experience to develop cutting-edge Internet marketing and social media campaigns for Brian Gavin Diamonds, which he helped to propel to the ranks of Internet Retailer’s “Second Top 500” and “50 Fastest Growing E-Commerce Companies.” Growing up in and around his family’s ecommerce business, he immersed himself in the business from an early age. Prior to joining Brian Gavin Diamonds, Danny honed his marketing skills through consulting roles with CenterPoint Energy, Brown-Forman, Houston Symphony, Softway Solutions and Blinds.com. Raised in Houston, Danny attended the C.T. Bauer College of Business at the University of Houston where he received an MBA in Marketing and Business Consulting. 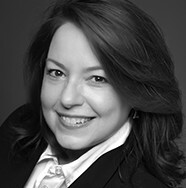 Dawn Nelson, Director of Fundraising, Consumer Reports (CR), joined the company in September 2011 and leads a department of five people. The Fundraising team manages a myriad of campaigns that generate nearly one million gifts across all channels from an active donor base of over 560,000 people. Dawn is an agile leader who enjoys a fast-paced, energized environment and testing new things to constantly learn and adapt to yield better results. Prior to joining CR, Dawn spent the majority of her career at Reader’s Digest as a Marketing Director responsible for all direct marketing activities for the Books and Home Entertainment Division, a $52 million business unit. She is a direct marketing professional who has applied her experience and knowledge of direct marketing best practices to fundraising at CR. Dawn has led the Fundraising department to grow revenues by $9 million and active donors by over 90,000 since she came to CR four years ago. 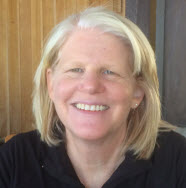 She lives in Mount Kisco, NY with her husband, two children and their yellow lab, and enjoys exercising, reading, traveling and being with family. Derek Kazee is the Director of Retention Marketing at Ebates. 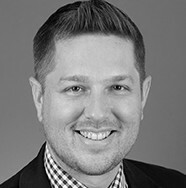 Derek is a digital strategist with more than 17 years of experience and he is responsible for leveraging data insights to create innovative marketing strategies and programs. His innate ability to simplify the complex and integrate learnings into marketing processes has driven more efficient, relevant and engaging marketing for many Fortune 100 brands. Derek holds a M.A. in Management from the Ohio State University and a B.S. in Journalism and Communication from the University of Oregon. CNET (a division of CBS Interactive) is the #1 source for researching tech and consumer electronics, and is the world's largest and most trusted tech media source for news, reviews and downloads with more than 100 million unique users. Diana Primeau, Director of Member Services Audience Development, CNET, brings decades of experience to the company, where she leads a cross-functional team that drives site engagement, increases subscription conversions, maximizes social and traditional email registration and manages email lists comprised of millions of unique visitors. Prior to her 10 years at CNET Primeau was Vice President of Cross Product Initiatives at Macromedia. 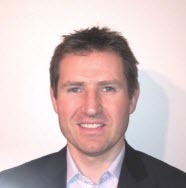 Eric Martin is the Vice President, Marketing, at SAP North America. In this role Eric is responsible for leading a program office that delivers custom communications programs to some of the company’s largest, most strategic customers. 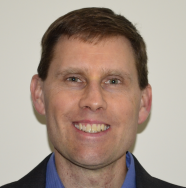 Previously, Eric led Ecosystem and Channels Marketing at SAP North America, in which he delivered marketing programs, training and best practices to SAP’s extensive network of ecosystem partners. He has also held marketing leadership roles in professional services firms Deloitte and The Hackett Group. Eric earned his BA and MBA from Villanova University and for the past 10 years he has taught a marketing course within Villanova’s MBA program. 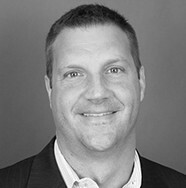 His 24 year career has been focused on B2B marketing, with a concentration in enterprise software and related services. With more than 15 years of B2B eMarketing experience, Jeremy has leveraged demand generation best practices, empowered by marketing automation and CRM systems, to exceed KPI targets in a variety of industries. When he isn’t planning outdoor adventures with his wife and daughter, he contributes to webinars and presentations on topics including closed-loop ROI reporting and email in a behavioral marketing context. Jessica Vogel is an experienced Global Marketing Consultant who has worked at Dell for over 10 years, with many of her various roles focused in the digital space. Currently, Jessica leads the end-to-end LCM (Lifecycle Marketing) team which develops Dell’s global creative and content strategy. Jessica’s efforts include guiding regional marketing communication (marcom) execution, which have led to LCM becoming one of the most efficient and highest performing ROI marcoms at Dell. Although her role is currently focused on LCM, including all triggered and post-purchase communications, Jessica continues to help drive innovation, business performance and process improvements across the entire Dell email channel. Prior to coming to Dell, Jessica worked on the agency side at T3 and Harte-Hanks for five years where she was involved with various projects across numerous Fortune 100 companies. 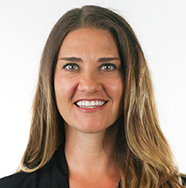 In addition to her contribution to marketing at Dell, Jessica is an active member in the Austin community, frequently volunteering with Austin Children’s Services and serving as a Board Member with the Texas Advocacy Project. 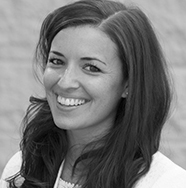 Jill McEwan is the Direct Marketing Director at HomeAdvisor, a leading online local services marketplace. She leads strategy for email marketing, direct mail and content marketing, but has also had roles in product management and customer service. Jill is an expert in customer interest analysis, delivering relevant content and A/B testing, and has recently been featured in Modern Marketer and in a MarketingSherpa email marketing case study. She is also a graduate of Ohio State University. Go Buckeyes! 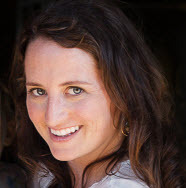 Julia Fox joined disruptive wine etailer, NakedWines.com, shortly after the company's U.S. launch in 2012. In her three-year tenure, she led the acquisition of more than 600,000 customers, built the continuity program from a few thousand to more than 100,000 active members, and created a CRM program oriented around loyalty over sales. The result is a highly engaged member base of brand evangelists who order quarterly, have generated more than a million reviews, produce open rates typically over 50%, and actively engage in the site's social platform. Kelly Peters is CEO of BEworks, a global firm that specializes in applying behavioral economics to business and policy challenges. The team consists of scientists from the fields of psychology, economics and neuroscience. Prior to cofounding the firm, Kelly lead innovation teams at the Royal Bank of Canada, Bank of Montreal, CANOE and Financial Post. She has over 20 years of experience in financial services strategy and IT innovation, a Master’s degree in business administration from Dalhousie University and is a Fellow at the Institute of Canadian Bankers. She is an influential thought-leader in the field of behavioral economics, an experienced TEDx and keynote speaker and a lecturer of applied behavioral science at University of Toronto’s Rotman School of Management. 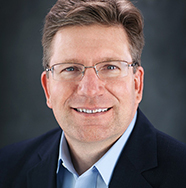 Ken Wincko is the Senior Vice President of Marketing at PR Newswire, where he manages the company's global marketing strategy and is a member of the Executive Management Committee. He has more than 20 years of marketing, product and business development experience in bringing innovative marketing programs and solutions to market for both B2B and B2C organizations. He is a frequent speaker at major industry conferences and has been covered in publications such as The Wall Street Journal, Alister & Paine, Demand Gen Report, MarketingSherpa, TechTarget and destinationCRM. Wincko is an advocate for a buyer-centric, progressive marketing approach spanning the customer lifecycle. Laz Tyrekidis is the Digital Marketing and Audience Director for Metropolis International, a fast-growing group that specializes in business and consumer media, employing over 350 people across seven locations. He joined the company in 2014 to define and drive the digital strategy with focus on email marketing, search engine optimization, social media and mobile marketing. Laz heads up a team of marketers to ensure the quality and audience for the group's digital offerings are maximized. He began his career in 2005 running his own online newspaper in his native country of Greece and has a degree in Computer Science. A highly influential speaker, Laz contributes to events and presentations and will share insights on how his email marketing strategy increased online revenue 8%. 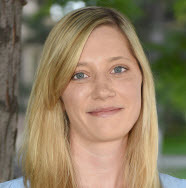 Lisa Arthur, author of Big Data Marketing: Engage Your Customers More Effectively and Drive Value (2013), drives global market and demand strategy, product and solutions marketing, customer-centric initiatives and serves as a global industry thought leader around data-driven marketing. A 30-year marketing veteran, Lisa currently serves as an independent CMO advisor. She has also served as CMO for Internet leader Akamai Technologies, B2B2C application provider Mindjet and Aprimo (now Teradata). 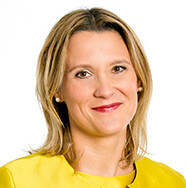 Maggie Fox is the Senior Vice President, SAP Global Marketing at SAP. 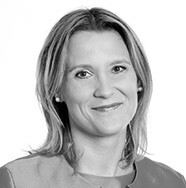 She is responsible for delivering a unified digital experience to SAP customers and the market. Prior to joining SAP, Maggie was founder and CEO of Social Media Group, which was established in 2006 and was one of the world's most highly respected independent agencies helping businesses navigate the socially engaged Web. She has been interviewed about social and digital trends by Inc. Magazine, The Washington Post, CBC Radio, The Globe and Mail, CBC News, CTV News and The Financial Post, among others. 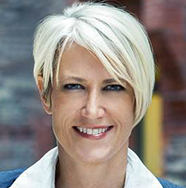 In 2011, The National Post named her one of Canada's Top Innovators. Fox sits on the boards of GetElevate.com and the Heart and Stroke Foundation. 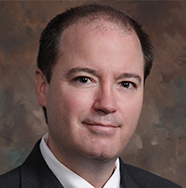 Mike Loveridge is the Head of Digital Conversion Optimization in the Digital Center of Excellence at Humana, based out of Louisville, Kentucky. Mike has a B.S. in Statistics and Math, and an MBA from BYU. 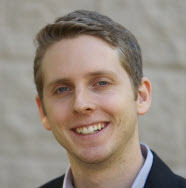 Prior to working at Humana, Mike conducted marketing research analytics for major Hollywood movie studios, ran the marketing analytics team for a presidential campaign, developed pricing strategy and models at Intel and performed web analytics and conversion testing for Ancestry.com, Adobe and GE. In between, Mike has spent hundreds of nights in a tent, in places as diverse as Alaska, Nepal, Central America, Europe and all over the U.S. He has been to Everest, chanted with monks in Himalayan monasteries, meditated in ancient ruins high in the Andes, climbed Angkor and Mayan temples, was a whitewater river guide on the Colorado River and a competitive rock climber. Not surprisingly, his passions include CRO, extreme outdoor adventure, fireflies and Costco. Morgan is responsible for donor and teacher email marketing efforts at DonorsChoose.org. 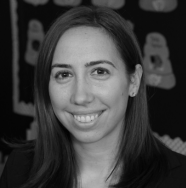 She joined the DonorsChoose.org team in 2011 and was previously Promotions Manager at the Big Apple Circus. Richard Delahaye, Senior Director of Marketing, Intronis, manages the company's global marketing strategy. He served for two years as Intronis' Director of Digital Marketing, leading the demand generation, marketing operations and database growth teams. Richard has 15 years of experience in hi-tech B2B marketing with a track record of spearheading innovative campaigns, including most recently the award-winning Intronis 3-Dimensional mailer featuring an Atari games console. A former Web developer, he is an advocate of applying agile methodologies to deploy and iterate marketing campaigns rapidly and effectively in the field. Prior to joining Intronis, Richard held digital roles at Correlsense, Experian and Rolls-Royce. Richard holds a Master of Science in Chemistry from Oxford University and, despite being from England, is not a soccer fan. Instead he prefers rugby and snowboarding. 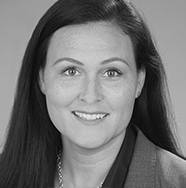 Rose Mary Moegling is the customer engagement manager for Toshiba America Medical Systems, Inc., overseeing social media strategy, webinar production, collateral and presentation development and industry association relationships. A seasoned marketing and public relations professional, Rose Mary has experience in both the nonprofit and private sectors and holds a Master’s degree in Strategic Public Relations from The George Washington University's Graduate School of Political Management. 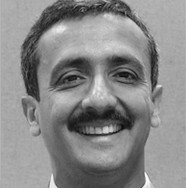 Sundeep is an author, researcher and educator. 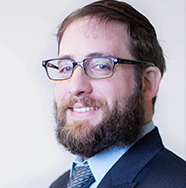 He writes for multiple publications and teaches workshops on effective digital engagement. His email-marketing master class has been taught across the globe for more than 1000 brands and he continues to receive outstanding reviews for his efforts. 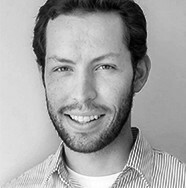 Austin McCraw joined the MECLABS research team in 2007 after graduating from University of Florida's college of Journalism and Communications. Since then, he has reviewed over 2,500 experiments, written over 300 hours of training, and developed five professional certification courses on the topics of Offer Response Optimization and Value Proposition. Currently, he works directly with Dr. Flint McGlaughlin, founder and Director of MECLABS, on his academic and commercial writing projects. He lives in Florida with his wife and three sons.